miniSLAP practice is for kids 7-14 that want to improve their swimming and triathlon swimming skills. prices are $15 for a single swim or $90 for the calendar month of unlimited swims. Meet at Coach Morgan's house with ALL swim, bike, and run equipment and attire. Training will take place on the Seminole Cross Trail & community pool. This Thursday night training race series has been happening for over 10 years, and although different race directors have been in charge, there isn't much that has changed. These training races are great for beginners to learn the sport of triathlon in a simple, encouraging format. They are great for those looking to get a great midweek workout with friends. Finally, they are also great for athletes wanting to hone their draft legal skills. join Coach Morgan at Waterfront Park!! 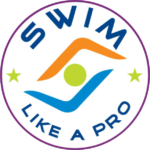 Swim, bike and run training for all ages and abilities. Bring ALL Triathlon gear! Kids Triathlon swim/run practice in the Winter Garden/Windermere area. every 2nd week on Wednesday afternoon! ALL SLAPPERS, from Clermont, Orlando, Melbourne are encouraged to meet up for ONE BIG TEAM Training session!